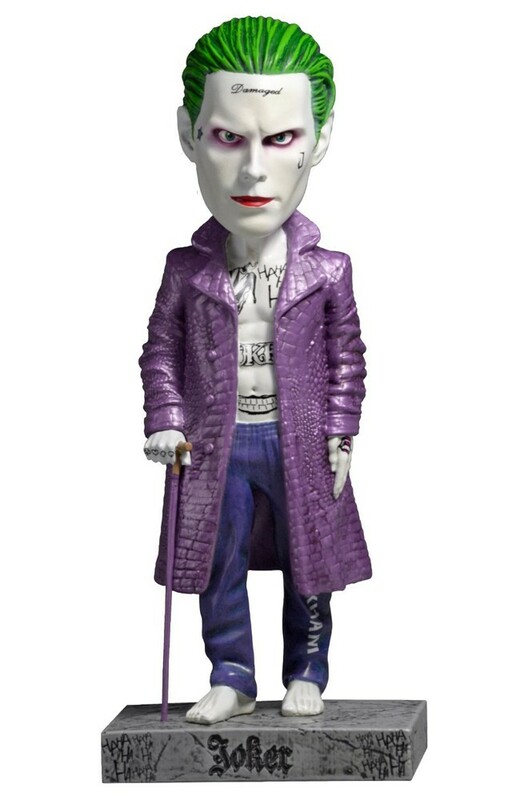 Add some head-bobbling fun to your shelf with the fiendish Joker (Jared Leto) from DC's Suicide Squad movie! Who is he? Don't make us laugh. The green hair. The crazed smile. The maniacal cackle. You know exactly who he is and how far he'd go to put a smile on your face.